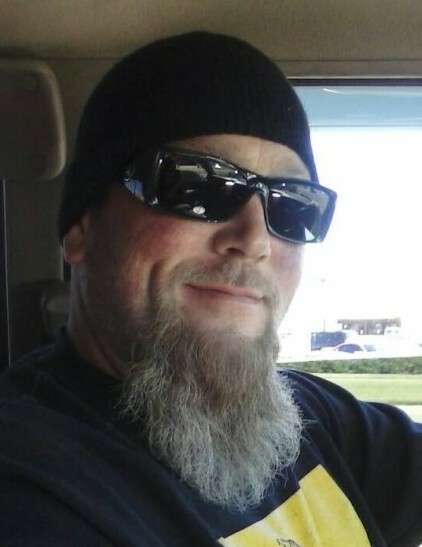 Michael Scott Payne, Sr. was born October 12, 1971 in Oklahoma City to James Michael and Mary Beth (Bolin) Payne and passed away April 6, 2019 in Shawnee at the age of 47. Scott grew up in Wellston where he graduated with the class of 1989 and continues his education at Gordon Cooper Technology Center. He learned a trade which afforded him a career as a trim carpenter and worked very hard at becoming one of the top trim carpenters in the area. Scott married Denise (Gorton) in 1993 and they raised two children together. He was passionate about motorcycles which he rode, worked on, and restored. He was an avid gun collector massing a large collection of guns, knives and all things dangerous. Scott was preceded in death by his father, Mike Payne; brother, Travis Payne; grandparents, Tom and Marjorie Payne, E.N. and Audrey Bolin. Survivors include his mother, Mary Beth Payne of Wellston; children, Scotty Payne of Spencer, Brittaney Payne of Wellston; (2) grandchildren, Aiden, Alexandra; brother, Steven Payne and his wife Connie of Wellston; nieces, Brooke and Victoria along with many other family and friends. A funeral will be held at 2:00 p.m. Friday, April 12, 2019 at the Lehman Funeral Home Chapel with interment following in the Wellston Cemetery. Dennis Osborne will be officiating and arrangements were made by Lehman Funeral Home of Wellston.